The six countries bordering the Mekong River – Cambodia, China (Guangxi and Yunnan provinces), Laos, Myanmar, Thailand and Vietnam) continue to place tourism as their top priority to generate economic growth. However, sustainability and social concerns are increasingly on the agenda. It is turning into a top event for all stakeholders involved in tourism for the Greater Mekong Sub-region. The Mekong Tourism Forum is the event where national tourism organisations, NGOs, the Asia Development Bank, hotels, airlines and tour operators gather to define the future of the tourism in the region. This year in Luang Prabang (Laos), the event has become even more inclusive. The entire town was turned into a venue with workshops organised in various sites across the UNESCO listed city to bring a local experience to delegates. Restaurants, cruise boats, a botanical garden, a museum and some hotels welcomed sessions evoking gastronomy, human protections at work, women-led business, hotel investment, air transport, river cruise, heritage and cultural tourism. “It was a format to be sure that all delegates would also understand that tourism in the Greater Mekong Region is not only about adding hotels and highways. “Prosper with Purpose” was the theme of our forum this year and it was really what we want to achieve in this region. 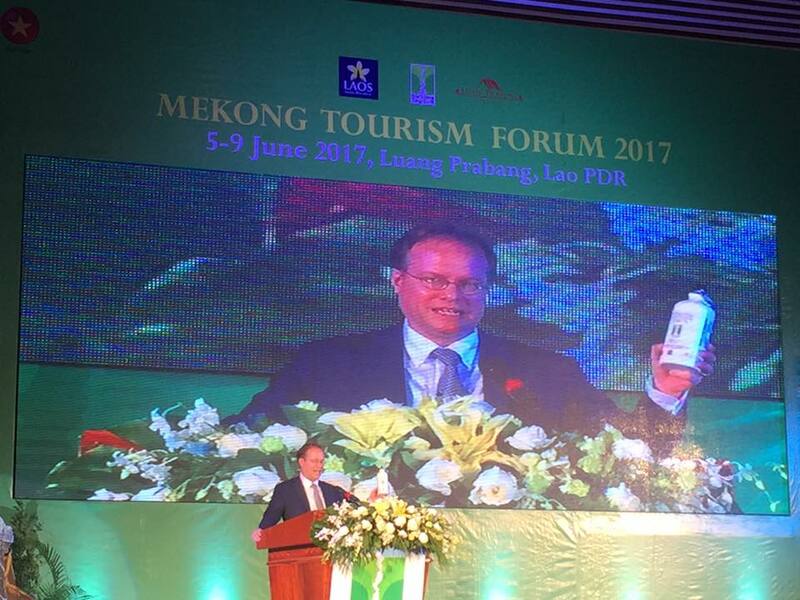 This event was truly designed by the industry for the industry,” explains Jens Thraenhart, Executive Director of the Mekong Tourism Coordinating Office.